Your 10 sites in Membership Command are all set up and waiting for you to promote. You can see the structure/flow of each site in our article " How Membership Command Works" As an Ultimate Reseller License holder we recommend you focus on selling the 10 site license package for $497 (or higher if you want). This page gives you all the information we hold about your account - your username, password, registered name and email. Note: To check the affiliate links are indeed yours (but we assure they are!) you need to register as a referral to one of your sites, log in as the referral and check the links for the Recommended products. If you merely use the login links from your reseller account then you are viewing the Recommended products as yourself and the links will be those of your sponsor. 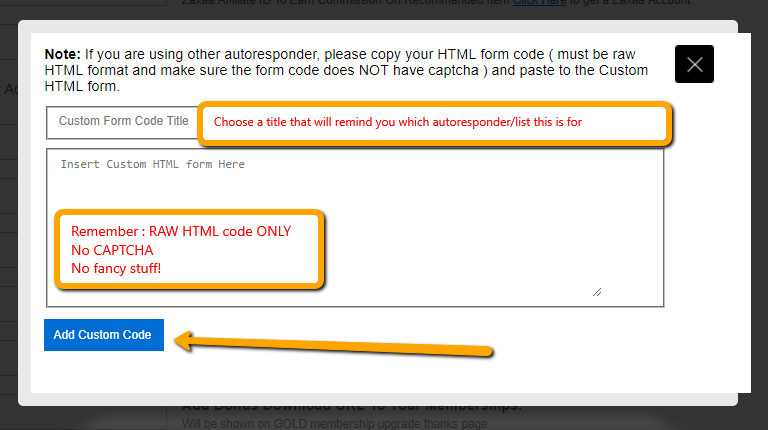 When you "click here to add" you will be presented with a window to name your form and enter the RAW HTML code for the form. You can add as many custom form codes as you need to - be sure to give them names that help you identify them so that you can select the relevant one in the List Settings! This is where you link each of your 10 sites to the autoresponder and list you want the subscribers to be added to. You can have 4 banners, each banner should be equal or less than 800px total or Height 400px. For the product(s) you want to promote, find the appropriately sized banner - often on the JV/promo page. 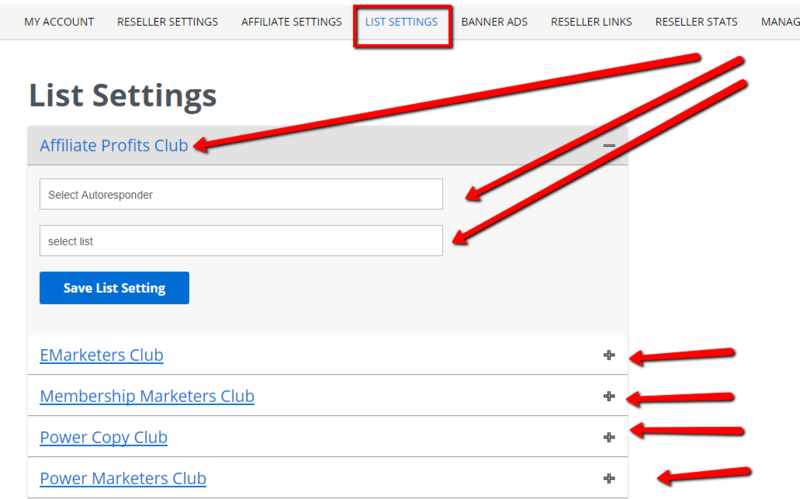 Then add your affiliate link for each banner and check which of the 10 sites you want this banner to be shown on. What is the purpose of "Logout Rotator URL" in my reseller settings?